and that crossed over grass, not water. Cache is in a brown-painted yogurt container. Location of Gorda Park: From Main Street, take Delaware St. south to Park, then west to Gorda Park. 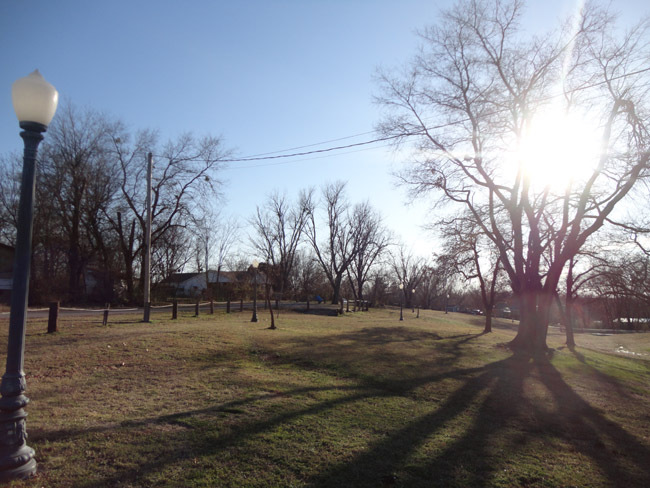 Posted on March 11, 2013 by ROMPoetry	• This entry was posted in Caches and tagged city park, creative writiing, Gorda Park, nature, oklahoma park, poems, poetry. Bookmark the permalink. Found it! A sparkling treasure in the midst of a drizzly, dreary, day!